It’s just some super delicious AND super easy treat! Split the eggs. We only need the eggwhites. Put the sugar and the eggwhites in a casserole.Put the casserole on the stove but don’t cook it, just heat it. Mix the eggwhites and the sugar until the sugar is absorbed and the mixture gets a white, foam-like texture. Add the dried coconut to the mixture. Mix it well together until it’s a smooth batter. Add the drops of vanilla aroma to it.Scrape the skin of the orange/mandarine and add it to the batter. 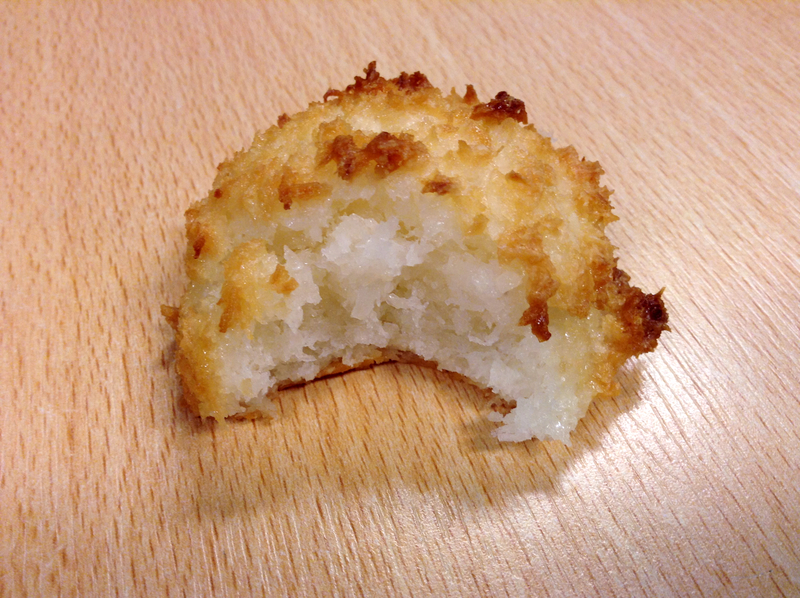 The scrapings will give the macaroons a fresh touch. Use the ice cream scoop to make perfect little balls of coconut deliciousness. Put them on a baking paper and bake them for about 15 minutes at 180 degrees centigrade. If the macaroons are a little brown on top, they’re done! They look perfect. I often make macaroons when I have left over egg whites, but next time I will use your method of spooning them with the ice cream spoon. Thanks for the tip. 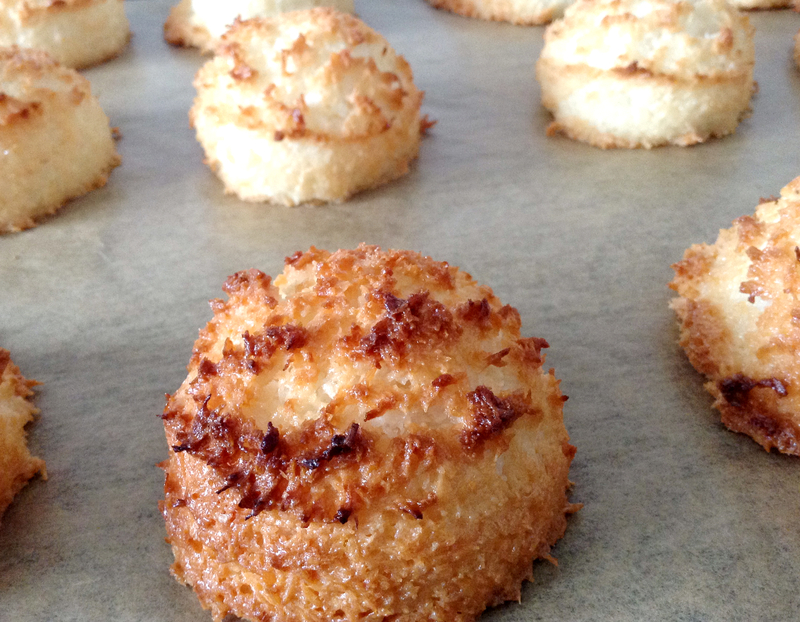 Love coconut, love macaroons …these look beautiful and delicious!! Sarah these look just delicious. I could use a couple right now. Oh my lord I love coconut so much and these seem so incredibly easy!! must try ASAP! I love macaroons, and yours look amazing! The recipe seems easy to follow too! Can’t wait to give it a try! Happy FF, Sarah! 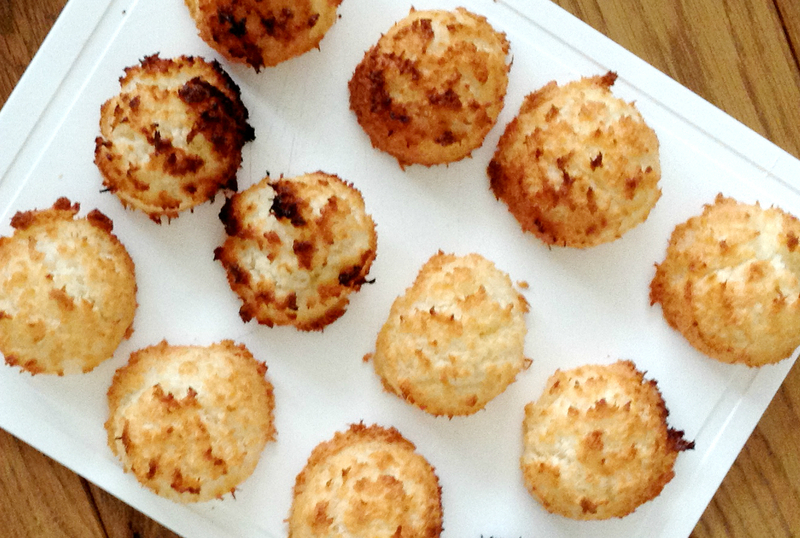 Looks like you mastered the art of a macaroon, Sarah…these are absolute beauties. They look perfect and sound delicious! 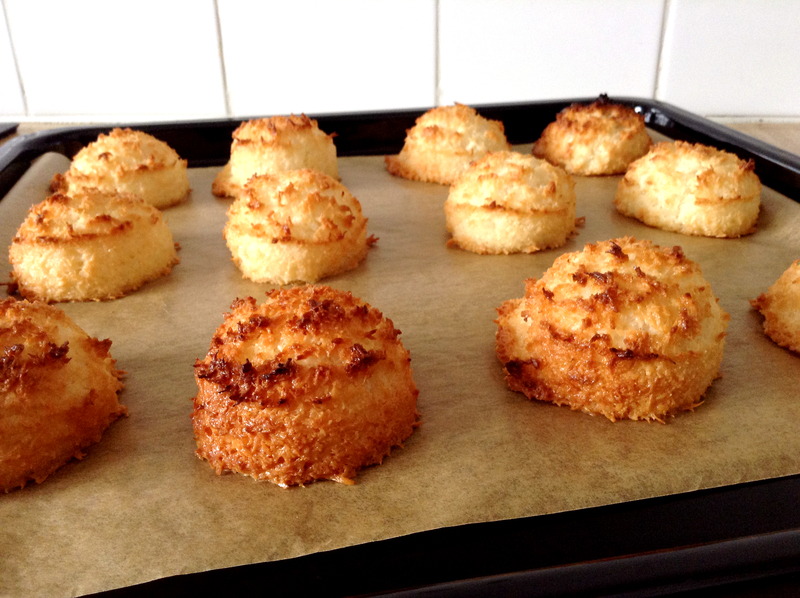 ooh I love macaroons, I’ve never made them though. I’m adding these to my list! Sarah they are beautiful, I too love macaroons. I like that your recipe has egg whites, it would make them nice and light.